I’ve absolutely no respect for Chairman Mao. Far from being a liberator, the former Chinese dictator was a ruthless butcher, who killed and brutalized millions during the ‘Cultural Revolution’. Over 60 million people died in the artificial famine his regime created. He and his comrades were also vandals and barbarians, who tried to destroy China’s millennia old culture by smashing monuments and priceless art treasures, as well as the ruthless persecution of religion, including Buddhism and Taoism, as well as Christianity. But Jason Unruhe of Maoist Rebel News says some very interesting things and makes some very acute observations of contemporary capitalism. In this piece, he discusses reports, found only in the Mail and RT, that the German authorities discovered a Nazi plot by serving members of the armed forces to overthrow the government. The plot including 14,000 soldiers, who were members of Nazi organisations. It’s a trivial number compared to the vast numbers in the German armed forces, but it’s serious because they were genuine Nazis. In the event of widespread unrest, the plotters in the military planned to leave the civilian government to its fate, and start re-opening concentration camps, in which they would incarcerate leftists and members of ethnic minorities. Unruhe notes that this story seems to have been comprehensively buried by all of the media, with the exception of the two above, because of its explosive nature. He also states that we don’t know how many people have been arrested. This is a serious threat to democracy and justice in Germany. It means anti-Fascists have to become better organized and equipped, with German antifas now in a dangerous position. This plot means that they are Europe’s first and best line of defence against a real Nazi resurgence. I can’t say I’m surprised at the high number of real Nazis in Germany’s military. The Baader-Meinhof Gang in the 1970s were spurred on to carry out their terror attacks from the realization that the denazification campaign after the War had only affected a comparatively small number of those serving Hitler’s vile regime. Many others had escaped, and despite their horrific crimes were living peaceful, comfortable lives. The British and Americans recruited Nazi agents and collaborators, including men responsible for vicious pogroms and massacres against Jews, for the intelligence agencies during the Cold War. It thus really wouldn’t surprise me if they let many Nazi members of the armed forces keep their jobs in the Cold War as part of Europe’s defence against Stalin. Just as they set up Gladio, a left-behind resistance network that would fight Communism if the Warsaw Pact successfully invaded and conquered the West. The feared invasion mercifully never happened, but various elements of the Gladio network were involved in far right-wing terrorism. It’s possible something similar could have been behind the persistence of real Nazism in the armed forces. Also, the neo-Nazi papers on sale in the eastern parts of the Federal Republic after the War styled themselves as the newspapers for soldiers and peasants. Fascism is now a very real threat in Europe, with the election of Far-right wing parties to power in Poland, Hungary and other countries in eastern Europe, Marine Le Pen’s Front National in France, and the Fascist Alternative fuer Deutschland on the rise in Germany. The leaders and senior members of the latter do have Nazi, or neo-Nazi connections. They’ve made speeches denouncing Germany’s Holocaust memorial as a ‘national shame’, and declared that if they got into power they’d open an underground railway to Auschwitz. But I’m not as pessimistic as Unruhe is here. I got the distinct impression that young Germans are very anti-totalitarian, and that German anarchists, who are very ready to fight Fascism on the streets, are very well organized. This is, of course, if there’s anything to this story at all. I think it probably is true, but it may be fake news concocted for some strange reason, and released only by those two sources. I also wonder about the figures involved. 14,000 sounds very high. I’m not sure that the National Democrats or the German Republican Party, two of the main neo-Nazi parties before the AfD a few years ago, had anywhere near that number of members. They certainly didn’t have much popular support, as they always came very low down the list in German elections, although the NDP did manage to get something like four members elected to the Reichstag or somewhere in Germany before they were banned. But if this is true, then it’s a frightening demonstration of how serious a threat Fascism now is. It has to be fought wherever it’s found, right across Europe, before it seizes power again and begins another Holocaust. More hypocrisy from the Tory party. This week, the Archbishop of Canterbury, Justin Welby, gave a long speech attacking Universal Credit and zero hours contracts. He described the ‘gig’ economy the Blairites and the Tories have created, in which workers in insecure jobs are only called in if their bosses decide there’s work for them to do, and go without pay if there isn’t, the ‘return of an ancient evil’. He made the speech after Labour had outlined its commitment to empowering workers, which included a comprehensive attack on the gig economy. Zero hours contracts will be banned, and employment benefits like sick pay and maternity leave will be extended to cover part-time workers. The party also pledged to end the ruse in which many firms seek to dodge their obligation to provide their workers with proper rights and benefits by making them officially self-employed. The Tories, however, immediately went berserk, and showed their own hypocrisy when it comes to supporting the political intervention of religious leaders. They were more than happy when the former Chief Rabbi Jonathan Sacks claimed that Corbyn and the Labour party were anti-Semitic. However, they were outraged that the Archbishop had dared to criticize the wonderful Thatcherite capitalism they’d created. Mike in his article notes that Archbishop Welby was unapologetic, and observed that ‘The Bible is political from one end to the other’. His intervention is to be welcomed. The Church of England is often seen as a haven for Conservatives and it will be interesting to see what happens to those Tories’ attitudes, considering this new direction from the pulpit. This has been going on for decades. The Anglican Church has been described as ‘the Tory party at prayer’, and the Tory party itself was set up back in the 17th century by supporters of the aristocracy and established church against the more liberal Whigs. However, the Church has also contained passionate reformers working against social evils. Archbishop Temple in his book, Christianity and the Social Order, published in 1942, pointed to reformers like William Wilberforce and the others in the ‘Clapham Sect’, who campaigned against slavery; John Howard and Elizabeth Fry and prison reform; and F.D. Maurice and the Christian Socialists in the 19th century. These latter wished to see businesses transformed into co-operatives, which would share their profits with their workers. This strand of Anglican social activism continued into the 20th century, and in 1924 the Anglican church held a conference to examine the question of how the Church should tackle the poverty and injustices of the age. Temple also pointed to the example of the pre-Reformation Church in attacking some of the economic and social abuses of the times, and particular Protestant Christian leaders and ministers, like John Wesley, after the Reformation. In the days of the Kings we find prophets denouncing such accumulations; so for example Isaiah exclaims: “Woe unto them that join house to house, that lay field to field, till there be no room, and yet be made to dwell alone in the midst of the land.” (Isaiah v.*8); and Michah: “Woe to them that devise iniquity and work evil upon their beds! When the morning is light, they practice it, because it is in the power of their hand. And they covet fields and seize them; and houses, and take them away; and they oppress a man and his house, even a man and his heritage” (Micah ii, 1, 2). And the evil here was not primarily economic, though that may have been involved. The evil was the denial of what Tertullian (c.160-230) would call ‘fellowship in property’ – which seemed to him the natural result of unity in mind and spirit. (p. 38). (L)ater prime ministers have felt and said the same about the interference of religion with the affairs of public life; but the interference steadily increases and will increase. (P. 15). And the friction between the Tory party and the Anglican and other churches has been going on ever since Thatcher set foot in 10 Downing Street. She got very annoyed when the-then Archbishop, Robert Runcie, issued a report detailing the immense poverty that had been produced by her policies. Norman Tebbitt, her attack dog, made comments casting aspersions on the good clergyman’s sexuality, on the grounds that he had a sing-song voice and the slightly camp manner of many churchmen. He was soon showed to be very wrong, as Runcie had been an army chaplain, whose ferocity in battle had earned him the nickname ‘Killer Runcie’. A friend of mine remarked about him that the really hard men don’t show it. The Church has gone on issuing reports and holding inquiries into poverty in Britain, and other social issues. And the Tory response has always been the same: to attack and criticize the Church’s interference. There have been comments of the kind that the clergy should stick to preaching the Gospel, and then they might have larger congregations. But if Thatcher and the Tories didn’t feel that the Church had any right to interfere in politics, they definitely believed that they had the right to interfere in the church’s ministry and pastoral theology. And that this right was absolutely God-given. When Thatcher was on the steps of Number 10, she started quoted St. Francis of Assisi’s famous prayer, ‘Where there is darkness, let us bring light’ etc. She also took it upon herself to lecture the ministers of the church on the correct interpretation of scripture. I can remember her speaking to a conference of the Church of Scotland, in which she explained to the assembled ministers and faithful her own view of charity and the welfare state, based on St. Paul’s words, ‘If a man does not work, he shall not eat’. Needless to say, the guid ministers were not impressed, and showed it in the massed ranks of stony faces. Temple was absolutely right in stating that Christians had a duty to examine and criticize the economic structure of society as the major force affecting people’s morals and character. But Thatcherism goes far beyond this. I’ve read pieces that have stated that Thatcher’s whole outlook was based on her peculiar right-wing religious ideas. Thatcherism isn’t simply an economic system. It’s a political theology. Thatcher was strongly influence by Keith Joseph, who was Jewish. It’s why she prattled about ‘Judeo-Christian values’ rather than just Christian values. I have no doubt that the Jewish readers of this blog will have their own views about proper Jewish morality, and that these may be very different from Joseph and Thatcher’s interpretation. Thus in Thatcherism the free market is absolutely virtuous, and any interference in its operation is an attack on a divinely sanctioned system. 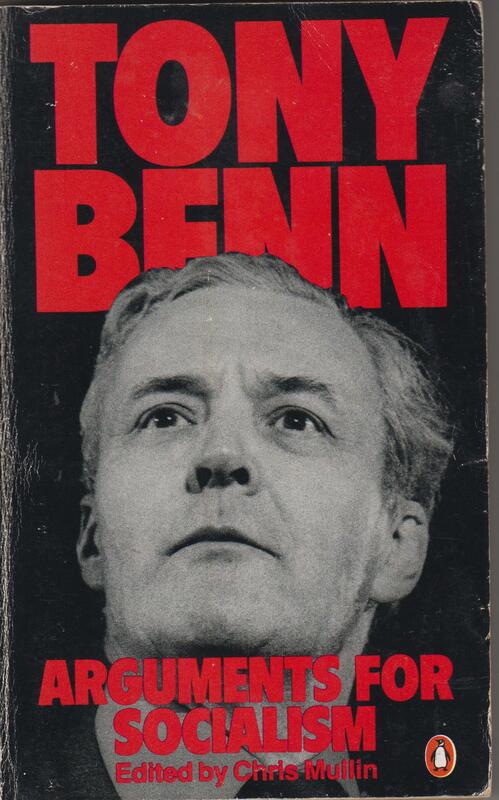 But from the standpoint of a left-wing interpretation of Christianity, Thatcherite theology is like its economics, profoundly wrong, bogus and harmful. And her celebration of the free market turns it into an idol, an object of false religious worship. More and more Christians both here and in America are turning against this idol, just as left-wing Jews are turning against right-wing politics as incompatible with the liberal politics of traditional Judaism. The Church has every right and, indeed, a duty as a moral body concerned with people’s spiritual welfare, to attack Thatcherism and its destructive legacy. I’m very much aware that we now live in a post-Christian society, where only a minority attend Church and most people profess to have no religious beliefs. Just as there are also sizable non-Christian communities, such as Jews, Muslims, Hindus, Buddhists and the various neo-Pagan groups, who also have every right to make their voices heard politically. Temple also advances other reasons why the Church should speak out on more rational, non-religious grounds, such as morality and common human sympathy for the victims of suffering. I hope, however, that regardless their religious views, people will support Welby on the issues of employment rights as an entirely justified attack on an iniquitous situation, which desperately needs to be corrected. On Wednesday, Tony Greenstein also put up a very revealing post discussing some of the honorary patrons of the Campaign Against Anti-Semitism. This is the organisation responsible for many of the anti-Semitism smears and libels, including that of Mike. Greenstein notes that it’s suspected of being funded by the Israeli Ministry of Strategic Affairs as part of their campaign of dirty tricks against the Boycott, Divest and Sanction movement. And the CAA’s patrons are a grim lot of reactionaries, racists and islamophobes. They include the former archbishop of Canterbury, George Carey, Eric Pickles, Bob Blackman, Matthew Offord, Mike Freer, and Richard Kemp. Carey got himself into trouble with Britain’s Muslim community in 2004 with a tactless comment about Islam, which included the words ‘During the past 500 years, critical scholarship has declined, leading to strong resistance to modernity’. It’s a very simplified version of Islamic history, which leaves out Modernists like Mohammed Abduh, the Egyptian ulema, who began the process of modernisation in their country before its conquest by the British and French, and secularist radicals like Turkey’s Kemal Ataturk. Eric Pickles, whom Buddy Hell at Guy Debord’s Cat has nicknamed ‘the Sontaran’ because of his striking resemblance to those aliens from Dr. Who, used to be progressive and anti-racist. That is before he and Maggie’s Tory cabinet decided to back Ray Honeyford, the headmaster of a Middle School in Bradford. Honeyford had written a piece in the right-wing Salisbury Review, claiming that there was a link between race and intelligence. The local authority wanted to sack him, but he was supported by the Daily Heil and Thatcher. And so Pickles also decided to throw in his lot behind Honeyford. And he’s been a populist ever since. Blackman, Offord and Freer all put their weight behind the campaign ‘Operation Dharmic Vote’ by the National Council of Hindu Temples back in 2017. This looks like an attempt to copy David Lammy’s Operation Black Vote earlier this century, which was a campaign to get more Black people to vote so that more would be done for them by a more diverse parliament. ‘Operation Dharmic Vote’ sounds similar, but was definitely not as benign. The National Council of Hindu Temples were annoyed that British parties, like Labour, were trying to outlaw caste discrimination, especially against the Dalits. This is the term now used for the Untouchables, the people of the lowest caste, who are given the dirtiest, lowest paid and most demeaning jobs. Indian Dalit activists and writers have described their conditions as ‘slavery’. There are reports in this country of Dalits being refused medical treatment by their doctors. It’s disgraceful, but Blackman, Offord and Freer decided to back the campaign to get the votes of the most reactionary elements of British Hinduism. Blackman also went further, also hosted a meeting in parliament, at which one of the speakers was Tapan Ghosh, an Indian islamophobe and christophobe. Claiming to be defending human rights, Ghosh talked about ‘800 years of Arab Islamic’ aggression, and ‘200 years of European Christian aggression’. He also described the Rohingyas, now being butchered in Myanmar, as ‘violent’. Both Islam and Christianity largely entered India through military conquest, though India also has a community of indigenous Syriac Christians in Kerala, who entered the country as refugees from persecution in the Persian Empire. The Hindu Nationalist right bitterly hate Christianity and Islam, as neither religion has a formal caste system like Hinduism. There is a kind of caste system in Indian Islam, but it’s less severe than Hinduism. As a result, many Dalits have converted to Christianity, Islam and Buddhism. The Hindu nationalists have reacted by organising pogroms against Christians and Muslims, as well as Sikhs and extreme right-wing Hindus have carried out forced conversions of Christians. This seems to be the type of Hinduism Ghosh seems to represent, and it’s as racist and intolerant as the militantly extremist forms of the two religions Ghosh denounces. Then there’s Colonel Richard Kemp, who was successfully sued by Baroness Warsi after he wrote a column in the Jewish News claiming that she was trying to excuse the horror committed by Daesh. The Campaign Against Anti-Semitism is the group that’s claiming that since Jeremy Corbyn became head of the Labour party, it’s been infested with anti-Semites. Perhaps there should be an outcry instead on the way it’s supported by very real racists and islamophobes. Bernie Sanders is the ‘democratic socialist’ senator for Vermont, who ran against Hillary Clinton last year for the Democratic presidential nomination. He didn’t get it. Although he had more grass roots support than Killary, he was cheated of the nomination through the intervention of the Democrat superdelegates, who massively favoured her. He is the man, who should now be occupying the White House, rather than the gurning orange lump of narcissistic Fascism now doing his best to drag the country back to before the Civil War. The polls show that Bernie could have beaten Trump. But he wasn’t elected, as Bernie’s far too radical for the corporate state created by the Republican and mainstream, Clintonite Dems. How radical can be seen from this book. It’s part autobiography, part manifesto. In the first part, Sanders talks about his youth growing up in Brooklyn, how he first became interested and aware of politics as a student at Chicago University, his political career in Vermont, and his decision to run for as a presidential candidate. This part of the book also describes his campaigning, as he crisscrossed America holding rallies, talking at town hall and union meetings, appearing on TV and social media trying to get votes. A strong feature of the book is Bernie’s emphasis on his background as one of the country’s now threatened lower middle class. His father was a Jewish immigrant from Poland, who worked as paint salesman. He and his family lived in a rent-controlled apartment in Brooklyn, where conditions were cramped so that they often slept on couches. He freely admits that his parents were also relatively affluent and had more disposable income than others. After having left uni, he began his political career in Vermont in 1971 when he joined and campaigned for the senate in the Liberty Union party, a small third party in the state. During the same period he also ran a small company producing educational films on the history of Vermont and other states in New England. Finding out that none of the college students he spoke to had ever heard of Eugene Victor Debs, he went and brought one out on the great American labour leader and socialist politician. On the advice of a friend and college professor, Richard Sugarman, Sanders ran for election as mayor of Burlington. He won, introducing a number of important welfare, educational and municipal reforms he called ‘socialism in one city’, a play on Stalin’s slogan of ‘Socialism in One Country’. He was strongly opposed by the Democrats. A few years afterwards, however, he was elected to Congress as an Independent, where, despite some resistance from the Democrats, he was finally admitted to the Democratic Caucus. In 2006 he ran for senator, contested the seat vacated by the Republican, Jim Jeffords, who had retired. By 2013 he was being urged by his supporters to campaign for the presidential nomination. To gauge for himself how much support he was likely to receive, Sanders went across America talking to ordinary folks across the country. After this convinced him that he had a chance, he began to campaign in earnest. At the beginning of his campaign for the nomination, Sanders was very much the outsider, getting 15 per cent of the votes polled to Clinton’s 60 per cent. Then he started winning, climbing up the ladder as he took something like seven out of eight states in a row. The corporatist wing of the Democrats did everything they could to block his rise, culminating in the theft of the nomination through the intervention of the superdelegates. Sanders is a champion of the underdog. He garnered much support by going to communities, speaking to the poor and excluded, often in very underprivileged neighbourhoods where the police and security guards were worried about his safety. He spoke in a poor, multiracial community in New York’s South Bronx, and to poor Whites in rural Mississippi. The latter were a part of the American demographic that the Democrats traditionally believed were impossible to win. Sanders states that actually speaking to them convinced him that they were way more liberal than the political class actually believe. During a talk to a group of local trade unionists, Sanders asked why people in such a poor area voted Republican against their interests. This was one of a number of counties in the state, that was so poor that they didn’t even have a doctor. The union leader told him: racism. The Republicans played on Whites’ hatred of Blacks, to divide and rule the state’s working people. Sanders makes very clear his admiration for trade unions and their members, and how frequently they know far better than the politicians what is not only good for their members, but also good for the industry, their customers, and their country. He praises the nurses’ unions, who have endorsed his campaign and backed his demand for a Medicaid for all. He similarly praises the workers and professionals maintaining America’s infrastructure. This is massively decaying. 25 per cent of American bridges are, according to surveyors, functionally obsolete. Towns all over America, like Flint in Michigan, have had their water poisoned by negligent water companies. The electricity grid is also unspeakably poor. It’s ranked 35th worst in the world, behind that of Barbados. Yep! If you want to go to a country with a better electricity network, then go to that poor Caribbean country. He describes how the poor in today’s America pay more for less. Drug prices are kept artificially high by pharmaceutical giants like Pfizer, so that many poor Americans can’t afford them. In one of the early chapter, he describes leading a group of women from Vermont over the Canadian border, so that they could buy prescription drugs cheaper. These same companies, like the rest of the big corporations, do everything they can to avoid paying tax. In some cases, these big corporations pay absolutely none. This is because of the corruption of American politics by donations from big business. As a result, the country’s politicians don’t represent the ordinary voters. They represent big business. He makes it clear he respects Hillary Clinton, but ran against her because you can’t combine representing ordinary people with taking money from the corporate rich. And at the heart of this corruption is the Koch brothers, oil magnates with a personal wealth of $82 billion and a corporate wealth of $115. They are not, explains Bernie, small government conservatives, but right-wing extremists. Their goal is to dismantle taxation completely, along with Medicaid and what little the country has of a welfare state. All so that the 1 per cent, who own as much as the poorest 90 per cent of the American population, can get even richer. Sanders goes further to describe the massive inequalities that are now dividing American society, including the racism and sexism that ensures that women, Blacks and Latinos are paid less than White men. The notorious drug laws that have ensured that more Blacks are jailed for marijuana and other drugs than Whites. The crippling debt that faces more and more Americans. 48 million Americans are in poverty. 24 million have no health insurance. Many of these are people, who are in work, and frequently working their rear ends off just to make ends meet. He describes talking to a charity worker, who purchases just out of date food to give to the local food bank. According to the young man he spoke to, 90 per cent of the people using the bank are working Americans, whose jobs pay so little that they literally can’t afford to eat. In this section of the book he quotes a letter from a woman, who states that she and her husband are work 2 and 3 jobs each, but still can’t make a living. As a result, the young can’t afford to buy their houses, or go to university. He contrasts this with the situation in the 1950s. It wasn’t utopia, and there was still massive inequalities in wealth according to race and gender. But the economy was expanding, more people had the prospect of good, well-paying jobs, owning their own homes, and sending their children to college. This America is disappearing. Fast. Sanders has given his support to women’s groups, and is a very staunch anti-racism campaigner. Amongst those who backed his campaign were Harry Belafonte and Dr. Cornel West, among other Afro-American intellectuals, performers and politicians. He also received the support of a number of Hollywood celebrities, including Seth MacFarlane and Danny DeVito. And comic book fans everywhere with genuinely progressive values will be delighted to here that his campaign manager ran a comic book store in Vermont. Presumably this guy is completely different from the owner of the Android’s Dungeon in The Simpsons. Sanders talks about his support for the Civil Rights movement, and Selma march, paying due tribute to its heroes and heroines, including Dr. Martin Luther King. He’s also a keen supporter of Black Lives Matter, the Black movement to stop cops getting away with the murder of Black people. As part of his campaign against racism, he also actively supports the campaign against the demonization of Muslims and rising tide of Islamophobia in America. When he was asked whether he would support this by a Muslim American, Sanders replied that he would, as his own father’s family were Jewish refugees from Poland. Sanders is also strongly opposed to the current wars in the Middle East. He was not in favour of Gulf War 1 in the 1990s, and has attacked the invasion of Iraq under Bush for destabilising the country and region, and causing massive carnage. But he was no supporter of Saddam Hussein, and is also a staunch supporter of veterans, adding his political clout to their campaigns to stop the government cutting their benefits. He points out that the blame for these wars lie with the politicos, not the soldiers who had fight. Bernie also takes worker ownership very seriously. Among the policies that he recommends for saving and expanding the American middle class are strengthening workers’ cooperatives and allowing workers to purchase their companies. One of the measures he states he will introduce will be to establish a bank to lend funds to American workers so that they can buy their own companies. He also wants to end the ‘too big to fail’ attitude to the big banks and start regulating them again. And as part of his campaign to strengthen and expand American democracy, he is a very harsh critic of the various laws the Republicans have introduced in states across America to stop Blacks, Latinos, the poor and students from voting. He also asks why it is that European countries can afford free medical care, but America can’t. And why Germany can provide college education free to its students, while Americans are faced with a mountain of debt. Sanders is a genuine American radical in the tradition of Eugene Debs. It’s no wonder that the rich and the powerful now trying to pull the country back into the colonial era, when it was ruled by coterie of rich White men. He states that his country is now an oligarchy, and even a ‘banana republic’. He’s right, and right about the ways these issues can and should be tackled. The Republicans have also tried to deter people from voting for him based on his apparent lack of interest in religion. They couldn’t attack him for being Jewish – although with those monsters Spencer and Gorka in the White House, I don’t know how long that will hold – so insinuated that he was an atheist. Well perhaps. But Sanders does have religious supporters. His friend and support Richard Sugarman is an Hasidic Jew and Sanders himself several times states how impressed he is with Pope Francis’ support for the global poor. He also made it clear in a speech he gave to the very Conservative Liberty University that he was impressed with the good in all religions, Judaism, Christianity, Islam, Buddhism, whatever. So he’s secular, but not anti-religious. Just anti-bigotry, and the way the right is trying to use religion to divide America. It’s also remarkable that Sanders was the focus of a popular phenomenon far beyond his own campaign team. He states in the book that he wanted to control the campaign, and not have a SuperPAC telling people what he didn’t or didn’t believe. But he also found that up and down America, people at the grassroots were organising independently of his campaign team to support him. Unlike the astroturf fake populist campaign the Republicans and Libertarians have set up, Bernie’s genuinely popular with a growing number of American working people. America desperately needs him. And so do we in Britain. The predatory, parasitical capitalism at the heart of American society has also been exported over here by the Conservatives. Just like the Americans need Bernie, we need Corbyn. And we need the two together, because if Bernie can do anything to stop the current political degeneration in America, it will also help stop the process over here. Incidentally, Bernie has a personal connection with Britain. His brother is a member of the Green party in Oxfordshire, and campaigns against the privatisation of the NHS. Sanders also has a strong interest in protecting the environment and promoting renewable energy. 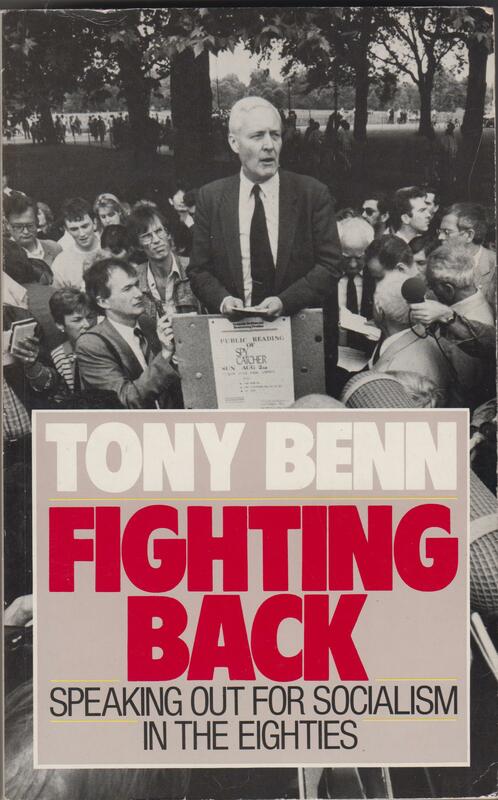 I also recommend this book to aspiring young politicos because of the chapters in which he talks about running a campaign, funded by your own supporters, not corporate backers, and what you need to do when running about the country. Like making sure you can get there in time and aren’t double-booked. It’s good advice, and although the latter seems obvious, he talks about a number of incidents in which he disastrously failed to follow it. Sanders talks about the way people are being turned off politics in America, thanks to the massive corporate corruption. This also reaches into corporate media. Sanders also has a few ideas how they can be reformed. He himself was the subject of a media blackout, as the TV and news companies definitely did not want to cover him, and very much favoured Killary. 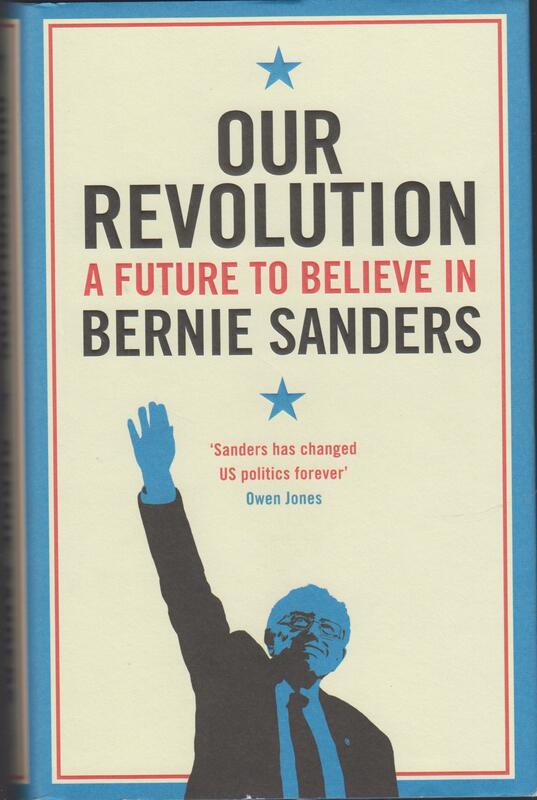 Hopefully Bernie’s book will reach more of the alienated folk now being excluded from American politics, and show them that there is someone actively fighting for them. And so encourage them to get involved for themselves. This is the strongest argument yet for keeping The Donald well away from the White House, or indeed, civilised society. In this video, Cenk Uygur and John Iadarola discuss how Joe Scarborough, one of the big reporters in America, stated on his programme, Morning Joe, that a foreign policy advisor had told him that three times when he’d been talking to Trump, the coiffured megalomania had asked him, ‘Why don’t we use nukes?’ They state that this is the reason Trump has no foreign policy advisors around him, because they’re horrified by the man’s insane stupidity and bloodlust. Trump is just so round the bend that even General Haydn, whom Cenk Uygur, The Turks’ main anchor, loathes because the man is in favour of torture, mass wiretapping without warrant, and other human rights abuses, was shocked and outraged. The Turks make the point that the system is designed for efficiency, with the American President have the sole authority needed to launch nuclear weapons in the event of a nuclear strike on the homeland. Of course, he could be blocked by the Vice President, but as they point out, the Vice President is legally bound to obey the president. If he doesn’t, he can be sacked, and another vice president appointed who is willing to comply. They go on to make the point that Trump is so ignorant, he didn’t actually know who the ‘nuclear triad’ was – the West, Russia and China, if I recall, though at least three other countries also have nukes – Pakistan, India, and Israel, although the Israelis strongly deny it. They make the point that arms limitation and the unwillingness of the US or any other country has acted as a powerful incentive towards non-proliferation. However, if other countries feel threatened by the possibility of a nuclear attack, they will seek to acquire nukes to protect themselves. And Trump’s attitude is especially dangerous and irresponsible at this time of international tension and arms build-up between NATO and the Russian Federation. They discuss how Trump in one of his debates stated that he would be willing to use nuclear weapons. He was then asked if he would use them in Europe. No, said Trump, he could see no reason why he would want to use nuclear weapons in Europe. So, said his interlocutor, you’re not going to use nuclear weapons in Europe. Trump denied that as well, and said he wasn’t going to rule anything out. They ask rhetorically how this looks to Europeans and to the Japanese after Hiroshima and Nagasaki. This European can answer that it looks extremely terrifying, and I imagine many, many other people over our great continent have the same views, particularly in Germany. The Germans don’t like nuclear power and there is a very strong campaign against the siting of American nuclear weapons in the Bundesrepublik. I can remember the campaign against nukes in the 1980s led by Petra Kelly. As for the Japanese, this must be particularly chilling to them, as they are the only nation to have suffered nuclear attack. It would be particularly interesting to know what the Japanese Christian church makes of this, as the Roman Catholic cathedral was directly underneath the bomb when it exploded. Christians in that particularly city – I can’t remember at the moment which one it was – see themselves as having been particularly martyred by the bomb. Of course, the majority of Japanese are Buddhists or practitioners of Shinto, or both, and I can remember a few years ago when there was a particular strong outcry from Japan against nuclear weapons and the threat of nuclear war. Among the peace campaigner were a group of survivors from the attack, terribly scarred by the blast. Japan is also similar to Germany in that America still has bases on its soil – in Okinawa – and its military presence is resented by many Japanese as a continuing occupation. The Turks also point out that Trump is psychological unsuited to having control of American foreign policy because he is thin-skinned, and reacts with rage to any insult or challenge, real or perceived. And that brings the danger of war even closer. This is another fascinating video from Secular Talk, which puts another perspective on the accusations of anti-Semitism directed against the Labour Party and its leader, Jeremy Corbyn. Ayelet Sheked, Netanyahu’s justice member and a member of the extreme Right-wing Jewish Homeland Party, has made a speech declaring that European critics of Israel are anti-Semites making the same blood libel that characterised anti-Semitic abuse and pogroms during the Middle Ages. According to her, it is just that anti-Semitism now is unacceptable and they have to code it as criticism of Israel. The Jewish Homeland Party is to the right of Netanyahu’s Likud, which shows you how right-wing they are. Kyle Kulinski, Secular Talk’s presenter, shows how this is an attempt to shut down any criticism of Israel as automatically anti-Semitic. He compares it with attempts to shut down criticisms of Islam as automatically an attack on Muslims. He asserts that you can criticise Islam, Christianity, Hinduism and Buddhism without being prejudiced or hostile to the adherents of those religions. He also states that he criticises Israel, not because of any hatred towards Jews or its people, but simply because it has committed horrific atrocities. Up to 80 per cent of the people killed in the bombing campaigns in Gaza were civilians, and the areas hit included schools, hospitals and the territory’s only power plant. The UN has also estimated that the area will be uninhabitable by 2020. He states that what’s driving these accusation of anti-Semitism is the success of the BDS campaign. This stands for ‘Boycott, Divestment and Sanctions’, and is directed against Israeli firms in the occupied territories. As a result of public pressure against Israeli goods produced in territory that should still belong to the Palestinians, 20%-30% of Israeli firms have left the area. Kulinski states that the strategy is working, and that’s why the Israelis are making ludicrous and racist accusations in their turn to place their country’s occupation and oppression outside of debate.